Thanks for visiting the Research and Supplemental Information page. If you find any links that do not work, or if you have additional research you would like us to add, please send us an email. Most of this research supports what is written in the book Tune In. You can purchase the entire e-book here. Stress Reduction – How Music Can Help. There is evidence to indicate that work stress causes 10% of all strokes. Suadicani P1, Andersen LL, Holtermann A, Mortensen OS, Gyntelberg F. Perceived psychological pressure at work, social class, and risk of stroke: a 30-year follow-up in Copenhagen male study. J Occup Environ Med. 2011 Dec;53(12):1388-95. 3 out of 4 doctor’s visits are for stress-related ailments. Schnall, Peter L. Unhealthy Work: Causes, Consequences, Cures. Amityville, N.Y.: Baywood Pub., 2009. Music can boost productivity by reducing stress. “The Power of Music To Reduce Stress.” Psych Central.com. Accessed March 31, 2015. Music can focus us on a task by relaxing our mind and allowing our subconscious to manage some of the work. Cockerton, T., Moore, S., & Norman, D. (1997). “Cognitive test performance and background music.” Perceptual and Motor Skills 85 (1997): 1435 – 1438. Allen K. et al. Normalization of hypertensive responses during ambulatory surgical stress by perioperative music. Psychosomatic Medicine, 63 (May/June 2001) 487 – 492. Print. Waldon E. G. The effects of group music therapy on mood states and cohesiveness in adult oncology patients. Journal of Music Therapy 38 (Fall 2001) 212 – 238. Print. Collingwood, J. “The Power of Music To Reduce Stress.” Psych Central. 2007. Web. June 7, 2012. http://psychcentral.com/ lib/2007/the-power-of-music-to-reduce-stress. The research is clear that three deep breaths can reduce your fight or flight response. “Dr. Herbert Benson’s Relaxation Response.” Psychology Today. Accessed March 31, 2015. Stress contributes to many human diseases. Carnegie Mellon University. “Stress Contributes To Range Of Chronic Diseases, Review Shows.” ScienceDaily Oct 9, 2007. Web. 3 Jun. 2012. Studies show music can actually lower your heart rate and reduce stress for some people. Davis, W.B., & Thaut, M.H. “The influence of preferred relaxing music on measures of state anxiety, relaxation, and physiological responses.” Journal of Music Therapy 26 (1989): 168 – 187. Hyde IM, Scalapino W. The influence of music upon electro-cardiograms and blood pressure. Am J Physiol. 46 (1918): 35 – 38. Joseph CN, Porta C, Casucci G, Casiraghi N, Maffeis M, Rossi M, Bernardi L. Slow “Breathing improves arterial baroreflex sensitivity and decreases blood pressure in essential hypertension.” Hypertension. 46 (2005) 714 – 718. Bernardi P, Porta C, Sleight P. Cardiovascular, cerebrovascular and respiratory changes induced by different types of music in musicians and non-musicians: the importance of silence. Heart. 92 (2006) 445 – 452. Music can: Relax the mind and lower stress levels. Collingwood, Jayne. “The Power of Music To Reduce Stress.” Psych Central.com. Accessed April 1, 2015. Nearly half of all workers suffer from moderate to severe stress while on the job, according to a recent survey. And 66 percent of employees report that they have difficulty focusing on tasks at work because of stress. Stress has been called the “health epidemic of the 21st century” by the World Health Organization and it costs American businesses up to $300 billion a year. A survey of 2,500 employees by ComPsych, a provider of employee assistance programs (EAPs), highlights the problem. In addition to the challenges related to focus at work, employees also said that stress was responsible for errors and/or missed deadlines (21 percent), trouble getting along with co-workers/superiors (15.5 percent), missed days (14.9 percent) and lateness (14.4 percent). “Results By Industry.” March 29, 2012. Accessed April 1, 2015. Repetitive exposure to music can induce calmness. Another team of researchers out of Florida state under Dr. Kumar (a leading researcher in music for health took blood samples of 40 male seniors before 20 listening sessions and took another set of blood samples after the 20 sessions (4 weeks later). The results were that 3 of the 4 main brain chemicals that affect our mental state including melatonin and epinephrine significantly rose – inducing a calmness. Music can lower blood pressure. A study from the Journal of Hypertension to be published in 2010 found that daily sessions of voluntary music-guided slow breathing significantly reduced blood pressure. This is thought to occur by mood improvement and social ties. Modesti, P.A., et al., Psychological predictors of the antihypertensive effects of music-guided slow breathing. J Hypertens. 28(5): p. 1097-103. There is evidence to say that our musical preferences start forming before the age of two. Fagen, J., Prigot, J., Carroll, M., Pioli, L., Stein, A., & Franco, A. (1997). Auditory context and memory retrieval in young infants. Child Development 68 (1997): 1057 – 1066. Rauscher, F. H., Shaw, G. L., Levine, L. J., Wright, E. L., Dennis, W. R., & Newcomb, R. L. Music training causes long-term enhancement of preschool children’s spatial-temporal reasoning. Neurological Research 19 (1997): 2 – 8. Viadero, D. “Music on the Mind”. Education Week, April 8, 1998. Wallace, W. T. (1994). “Memory for music: Effect of melody on recall of text.” Journal of Experimental Psychology: Learning, Memory & Cognition 20 (1994) 1471 – 1485. There is great evidence around the connection of stimuli being received in early childhood and brain growth. Society For Neuroscience. “New Studies Show Factors Responsible For Enhanced Response To Music.” ScienceDaily, 13 Nov. 2003. Web. 6 Jun. 2012. The brain undergoes rapid neural development during the first years of life and new neural networks are formed more rapidly than at any other time. Casey B.J., Tottenham N., Liston C., Durston S. “Imaging the developing brain: what have we learned about cognitive development?” Trends in Cognitive Sciences 9.3 (March 2005): 104 – 110. In an analysis of U.S. Department of Education data on more than 25,000 secondary school students (NELS:88, National Education Longitudinal Survey), researchers found that students who report consistent high levels of involvement in instrumental music over the middle and high school years show “significantly higher levels of mathematics proficiency by grade 12.” This observation holds regardless of students’ socio-economic status, and differences in those who are involved with instrumental music vs. those who are not is more significant over time. Catterall, James S., Richard Chapleau, and John Iwanaga. “Involvement in the Arts and Human Development: General Involvement and Intensive Involvement in Music and Theater Arts.” Los Angeles, CA: The Imagination Project at UCLA Graduate School of Education and Information Studies, 1999. Piano practice increases integrity of nerve fiber tracts. A 2005 study showed that practicing piano correlated with better organization of nerve fiber tracts. Especially in children, practicing the piano led to greater integrity of these tracts, even the pyramidal tract, which is a main tract that connects the brain with the spinal cord and is essential for movement. Bengtsson, S.L., et al., Extensive piano practicing has regionally specific effects on white matter development. Nat Neurosci, 2005. 8(9): p. 1148-50. Researchers estimate that a potential savings of $2.25 billion per year could be saved if music therapy was used throughout the United States during such procedures. DeLoach Walworth D. Procedural-support music therapy in the healthcare setting: A cost-effectiveness analysis. J Ped Nursing. 2005;20(4):276-84. The cost savings when using music therapy showed a reduction of $567 per procedure. Wood B. CT scans and radiation exposure. AAP Grand Rounds. 2008;19:28-9. Studies suggest health care dollars would be saved if music was used in the care of individuals. Cohen, Gene. “New theories and research findings on the positive influence of music and art on health with aging.” Arts and Health (March 2009): 48 – 62. A multi-state, two year study in the U.S., published in the journal Arts and Health in February 2009, monitored medication usage of two groups—one group that resided in long term care and one group that resided in long term care and participated in a regular group music program three times per week. The participants in the music program three times per week reported a higher overall rating of physical health, fewer doctor’s visits, less medication used, and fewer instances of falls compared to the control group. The author of the study suggests that if all persons who fall under what is classified as Medicare D (national health coverage for those aged sixty-five and older in the U.S.) participated in the music program with similar results as in the stud— then the savings would equal 6.3 billion dollars. Long-term care workers find stress relief in Music; Landmark Study could save industry 1.46 Billion. American Music Conference 2007. The Recreational Music Making (RMM) program drastically reduced employee burnout and turnover. The study revealed that the program decreased total mood disturbance by 46%. This improvement could result in an 18.3 percent reduction in employee turnover, which would save the average 100-bed facility more than $89,000 a year—and the entire long-term care industry as much as $1.46 billion annually. In the U.S. the employee turnover rate is typically 40-60% annually. When we respond positively to the music we are listening to we are more likely to improve our performance on certain tasks, our imagination is peaked, and our emotional state is altered. “The Psychology of Musical Preferences.” Psychology Today. Accessed March 30, 2015. Research seems to support such a claim. For example, a trial where 75 out of 256 workers at a large retail company were issued with personal stereos to wear at work for four weeks showed a 10 percent increase in productivity for the headphone wearers. Other similar research conducted by researchers at the University of Illinois found a 6.3 percent increase when compared with the no music control group. “Does Listening to Music While Working Make You Less Productive?” Ideas Does Listening to Music While Working Make You Less Productive Comments. Accessed March 31, 2015. Music can stimulate creativity by increasing blood and oxygen flow to the brain – going from sleepy brain to teachable brain. University of Maryland Medical Center. “Joyful Music May Promote Heart Health.” ScienceDaily. (accessed April 1, 2015). However a summary of recent research from Taiwan shows while some background music can increase worker satisfaction and productivity, music with lyrics could have significant negative effects on concentration and attention. The study concluded that music without lyrics is preferable, as lyrics are likely to reduce worker attention and performance. Shih, YN. “Background Music: Effects on Attention Performance.” WORK 42, no. 4 (2012): 573-8. For example, a trial where 75 out of 256 workers at a large retail company were issued with personal stereos to wear at work for four weeks showed a 10% increase in productivity for the headphone wearers. Other similar research conducted by researchers at the University of Illinois found a 6.3% increase when compared with the no music control group. Rosekind, Mark R., Kevin B. Gregory, Melissa M. Mallis, Summer L. Brandt, Brian Seal, and Debra Lerner. “The Cost Of Poor Sleep: Workplace Productivity Loss And Associated Costs.” Journal of Occupational and Environmental Medicine, 2010, 91-98. The ability to perceive emotion in music develops early in childhood, and changes throughout development. Dowling, W. J. (2002). “The development of music perception and cognition”. Foundations of Cognitive Psychology: Core Reading: 481–502. Just as different people perceive events differently, based upon their past experiences, emotions elicited by listening to different types of music are affected due to personal, previous experiences. Ladinig, Olivia; Schellenberg, E. Glenn (1 January 2012). “Liking unfamiliar music: Effects of felt emotion and individual differences.”.Psychology of Aesthetics, Creativity, and the Arts 6 (2): 146–154. In one study researchers presented excerpts of fast tempo, major mode music and slow tempo, and minor mode music to participants. These musical structures were chosen because they have been proven to convey happiness and sadness respectively. Hunter, P. G.; Schellenburg, E. G.; Schimmack, U. (2010). “Feelings and perceptions of happiness and sadness induced by music: Similarities, differences, and mixed emotions”. Psychology of Aesthetics, Creativity, and the Arts 4: 47–56. People have different emotional reactions to the same music. A random sample of 540 Spanish consumers (aged fifteen to sixty-five), were played a series of radio advertisements for a fictitious mineral water. Vanessa Apaolaza-Ibáñez, Mark Zander, Patrick Hartmann. “Memory, emotions and rock ‘n’ roll: The influence of music in advertising, on brand and endorser perception.” African Journal of Business Management 4.17 (2010): 3805 – 3816. Participants who listened to the music excerpts five times rated their emotions with higher intensity than the participants who listened to them only once. Ali, S. O.; Peynircioglu, Z. F. (2010). “Intensity of emotions conveyed and elicited by familiar and unfamiliar music”. Music Perception: An Interdisciplinary Journal 27: 177–182. Music can change an individuals’s emotional state. Changizi, Mark. “Why Does Music Make Us Feel?” Scientific American Global RSS. September 15, 2009. Accessed April 1, 2015. Listening to music was also found to be more effective than prescription drugs in reducing anxiety prior to surgery, a drug with little side effects. Chanda, Mona Lisa, and Daniel J. Levitin. “The Neurochemistry of Music.” Trends in Cognitive Sciences: 179-93. When you listen to music that moves you your brain releases dopamine that makes you feel extra good and when we feel good it becomes easier to feel positive connections to others around us. “Why Music Makes You Happy : DNews.” DNews. Accessed March 31, 2015. Dr. Daniel Levitin has proven that listening to music releases certain chemicals in the brain. Chanda, Mona Lisa, and Daniel J. Levitin. “The Neurochemistry of Music.” Trends in Cognitive Sciences: 179-93. Making music in a group sees an increase in the human growth hormone. The Music Making and Wellness Project is an American study that looked at the benefits of senior’s participating in music programs. They found that stress, depression and loneliness were greatly decreased in the individuals involved with the program and 90% showed an increase in the human growth hormone, which is something that typically decreases with age. Music helps us to feel connected to our feelings, our environment, or the people around us—to feel connected to a bigger experience, a memory, or a person we love. Baumgartner, Hans (1992), “Remembrance of Things Past; Music, Autobiographical Memory, and Emotion.” Advances in Consumer Research. Eds. John F. Sherry, Jr. and Brian Sternthal. Association for Consumer Research. 19 (1992): 613 – 620. However, under the right circumstances all music is retrievable, meaning that it’s something that we can remember when the conditions are right. Williamon A. & Egner T. “Memory structures for encoding and retrieving a piece of music: an ERP investigation.” Cognitive Brain Research, 22: 36 – 44. I have read magazines that suggest we don’t add much new music after the age of thirty. Hyden S. & Murray N. “Why do pop-culture fans stop caring about new music as they get older?” A.V. Club. May 10, 2011. Web. Jan 15, 2012. People have long known that music can trigger powerful recollections, but now brain-scan studies show us what is really happening and why when we use the right music we can actually help keep our memories in good working order. The part of the brain known as the medial pre-frontal cortex sits just behind the forehead. Petr Janata, a cognitive neuroscientist at University of California describes what is happening. Hsu, By. “Music-Memory Connection Found in Brain.” LiveScience. February 24, 2009. Accessed March 31, 2015. Music can create a clear passage to long-term memory. Jäncke, Lutz. “Music, Memory and Emotion.” Journal of Biology, no. 7 (2008): 21. Research has demonstrated that music with a strong beat can stimulate brainwaves to resonate in sync with the beat. Certain tempos bring sharper concentration and more alert thinking, and other tempos bring a calm, meditative state. Music can relax the mind and lower stress levels – creating more neural pathways, opening doors to new learning and experiences. The brain goes through many processes helping us interpret the music that we hear. Our ears become attuned to certain styles and textures which are specifically intriguing to us. Levitin, Daniel J. This is Your Brain on Music: The Science of a Human Obsession. New York: Dutton/Penguin, 2006. There is a long held theory that the subconscious mind can recognize patterns within complex data and that we are hardwired to find simple patterns pleasurable. BioMed Central. “Creating simplicity: How music fools the ear.” ScienceDaily, 20. Jan. 2011 Web. 6 June 2012. There have been tremendous results in speech rehabilitation using a technique known as melodic intonation therapy. Norton, Andrea et al. “Melodic Intonation Therapy: Shared Insights on How It Is Done and Why It Might Help.” Annals of the New York Academy of Sciences1169 (2009): 431–436. PMC. Web. 31 Mar. 2015. Some people believe that music was important to human evolution, from how infants develop language to how we pass down information to new generations. “This Is Your Brain On Music.” Medical Daily. Accessed March 31, 2015. While some studies indicate that music training is correlated with high music intelligence as well as higher IQ….Schellenberg, E. Glenn; Mankarious, Monika (1 January 2012). “Music training and emotion comprehension in childhood.”. Emotion 12 (5): 887–891….other studies refute the claim. Kratus, J. (1 January 1993). “A Developmental Study of Children’s Interpretation of Emotion in Music”. Psychology of Music 21 (1): 3–19. However what is worth noting is that exposure to music earlier in life seems to affect behavioral choices, schoolwork, and social interactions later in life. “Impact of Music, Music Lyrics, and Music Videos on Children and Youth”.PEDIATRICS 124 (5): 1488–1494. 19 October 2009. A Neuroscientist was a patient at his own clinic being prepped for spinal surgery. Carr, Coeli. “Using music to ease patient stress during surgery.” Time.com. 13 Oct. 2009. Web. June 1, 2012. However, there is indication that surgeons are not asking others in the operating room for their preferences: one survey of anesthetists found that about a quarter felt that music “reduced their vigilance and impaired their communication with other staff,” and about half felt that music was distracting when they were dealing with a problem with the anesthesia. Listening to music can reduce chronic pain by up to 21 per cent and depression by up to 25 per cent. It can also make people feel more in control of their pain and less disabled by their condition. Researchers carried out a controlled clinical trial with sixty people, dividing them into two music groups and a control group. They found that people who listened to music for an hour every day for a week reported improved physical and psychological symptoms compared to the control group.The participants, who had an average age of 50, were recruited from pain and chiropractic clinics in Ohio, USA. They had been suffering from a range of painful conditions, including osteoarthritis, disc problems and rheumatoid arthritis, for an average of six and a half years. Sandra L Siedlecki, Cleveland Clinic Foundation, Ohio, and Marion Good, Case Western University, Ohio. Journal of Advanced Nursing. Volume 54.5, pages 553 to 562. Music has been found to block pain. 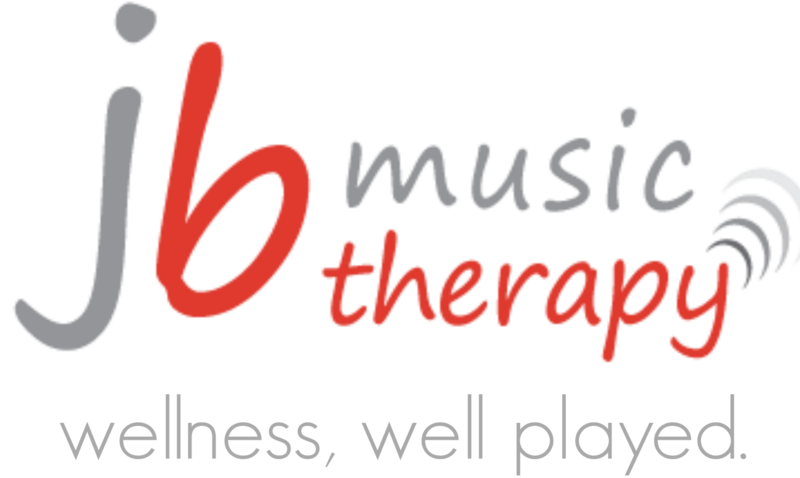 Music therapy tries to synchronize the internal beats with external rhythms by using musical frequencies to and vibrations to slow down body rhythms. The creates a number of physiological reactions such as lowering blood pressure, decreasing the levels of certain hormones in the body and forcing the brain to use both the left and right side simultaneously; all of which can promote healing. Music has also been found to block pain using musical acupuncture where patients visualize musical notes hitting the body at the spot where the pain is coming from. Group lessons can take your experience to a whole new level. to go on your daily run or attend your weekly spin class, you should change things up, says Jordan Metzl, a sports medicine physician at the Hospital for Special Surgery in New York. “Trying something new that shakes up your routine can really give you a fresh perspective and get you excited,” Dr. Metzl says. “Shake Things Up: Why You Should Try New Ways to Exercise.” WSJ. Accessed March 31, 2015. Costas Karageorghis of Brunel University in London, one of the world’s leading experts on the psychology of exercise music, wrote that one could think of music as a legal performance-enhancing drug. In truth, it looks like music can boost your athletic performance by 15%. There’s more to it than distraction, music makes people less aware of their exertion. The music seems to propel them forward helping them get maximum benefit. Karageorghis, Costas I. “: Sport and Music for the Masses.” Sport in Society: 433-47. The rhythm of your workout music stimulates the motor area of the brain aiding in your movements and keeping them steady. This leads to a sense of greater efficiency since keeping a steady pace is easier on our bodies than fluctuating through the workout. “Let’s Get Physical: The Psychology of Effective Workout Music.” Scientific American Global RSS. Accessed March 31, 2015. Choir singing and listening to choral music have distinctly different effects of immunity. A 2004 study in the Journal of Behavioral Medicine reported the effects of choir singing versus listening on secretory IgA (S-IgA)-an antibody that protects the linings of many different organs in the body. They found that singing itself increases s-IgA and positive feeling states and decreases negative feeling states. Listening to choral music does exactly the opposite: s_IgA decreases and negative feeling states increase The next time you are at a concert or church you may want to sing along! Kreutz, G., et al., Effects of choir singing or listening on secretory immunoglobulin A, cortisol, and emotional state. J Behav Med, 2004. 27(6): p. 623-35. Recreational music-making improves immunity. Studies have shown that making music for recreation improves mood states and immunity in younger and older adults . Specifically, recreational music making increases many of the body’s fighter cells: number of lymphocytes, T cells, CD4+ T cells, memory T cells, and production of interferon-gamma and interleukin-6. These are all usually protective to the body. This study showed that these effects are especially true for older adults. Koyama, M., et al., Recreational music-making modulates immunological responses and mood states in older adults. J Med Dent Sci, 2009. 56(2): p. 79-90. In 2009, researchers led by Lauren K. King of the Sun Life Financial Movement Disorders Research and Rehabilitation Centre at Wilfrid Laurier University, in Waterloo, Ontario, found that short-term use of vibroacoustic therapy with Parkinson’s disease patients led to improvements in symptoms, including less rigidity and better walking speed with bigger steps and reduced tremors (NeuroRehabilitation, December, 2009).